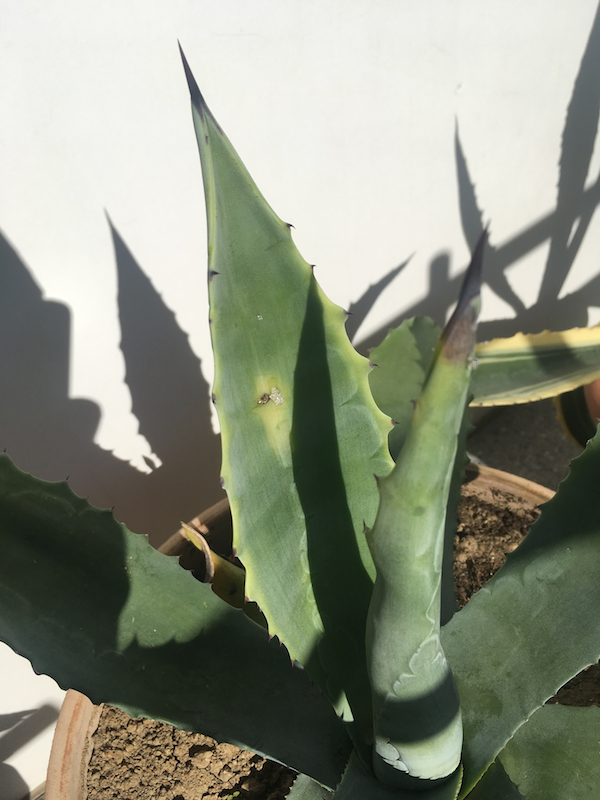 It looks as if my agave is "sweating" a crystalline substance. The droplets are approx. 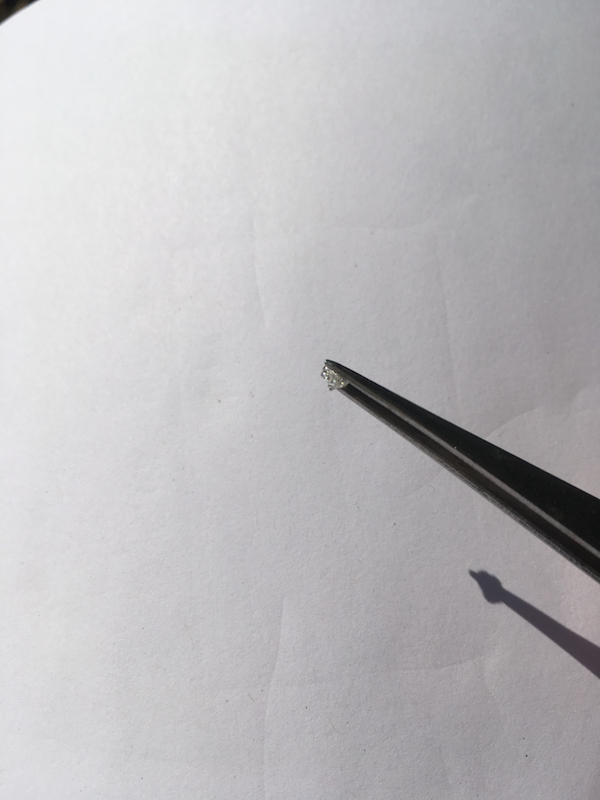 2 mm in diameter and twice as long. Is this as it should be (also the surrounding yellowish patch in the second image) or do I need to contemplate corrective action (or perhaps even prepare for bottling Tequila :-) ? UPDATE I have added another close(e)up-image of a droplet. It looks crystalline but quickly crumbles. 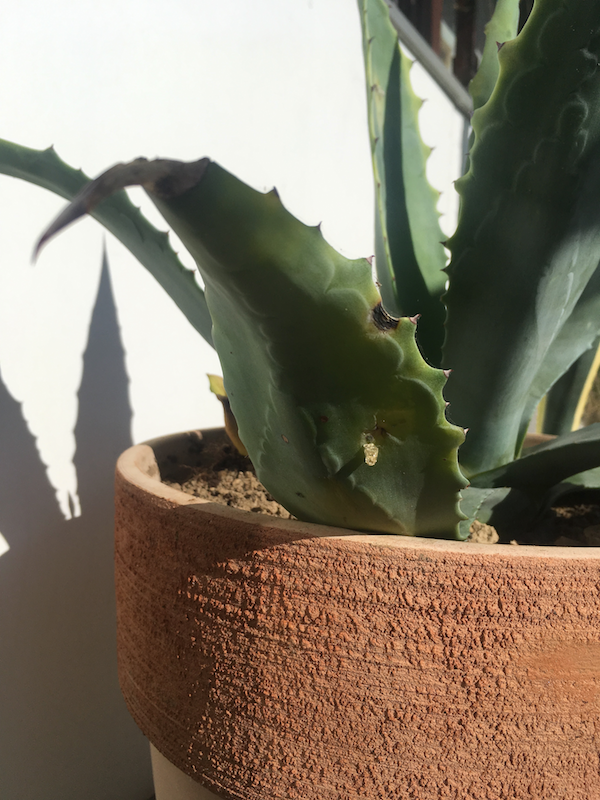 It also seems as if there may be a thread attached (not visible in the picture), so I'm wondering whether it even originates with the agave; plus a droplet typically end ups in the armpits between the agave's leafs after it falls off a leaf. It's hard to tell, but it looks like some sort of physical damage from which sap has seeped and hardened. Are there others besides these two spots? If it were me, I wouldn't be concerned unless there were 20 of these on each leaf. Not the answer you're looking for? Browse other questions tagged diseases cactus or ask your own question.